Even though the two brightest planets, Venus and Jupiter, hover low in the south-east before dawn, the shortest month brings what many consider to be our best evening sky of the year. After all, the unrivalled constellation of Orion is in prime position in the south, passing due south for Edinburgh one hour before our star map times. 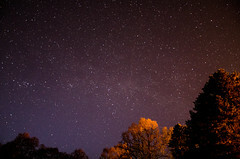 Surrounding it, and ideally placed at a convenient time for casual starwatchers, are some of the brightest stars and interesting groups in the whole sky. 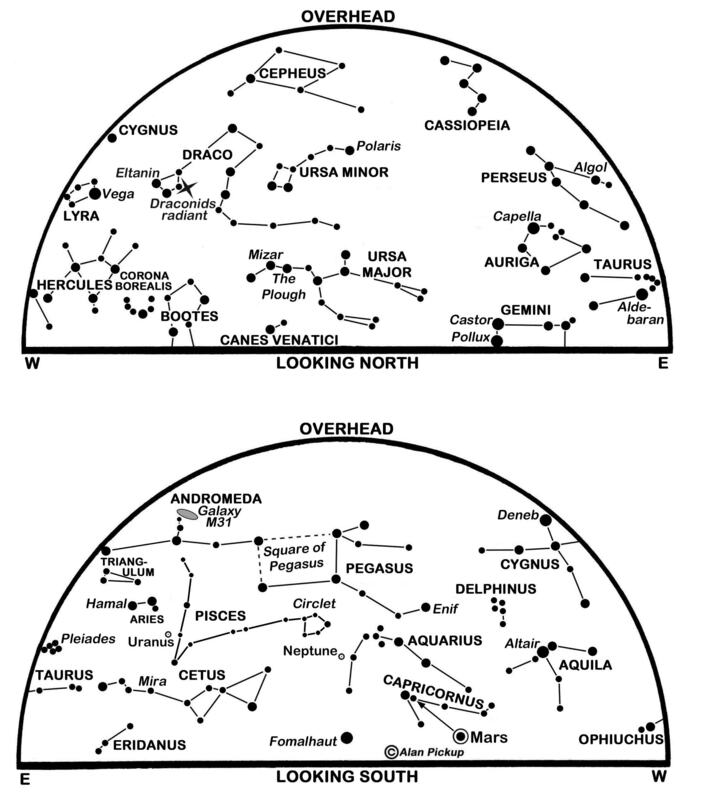 I mentioned some of the sights in and around Orion last time, including the bright stars Procyon, Betelgeuse and Sirius which are prominent in the south at the map times and together form the Winter Triangle. Like the Summer Triangle, this winter counterpart is defined as an asterism which is a pattern of stars that do not form one of the 88 constellations recognised by the International Astronomical Union. 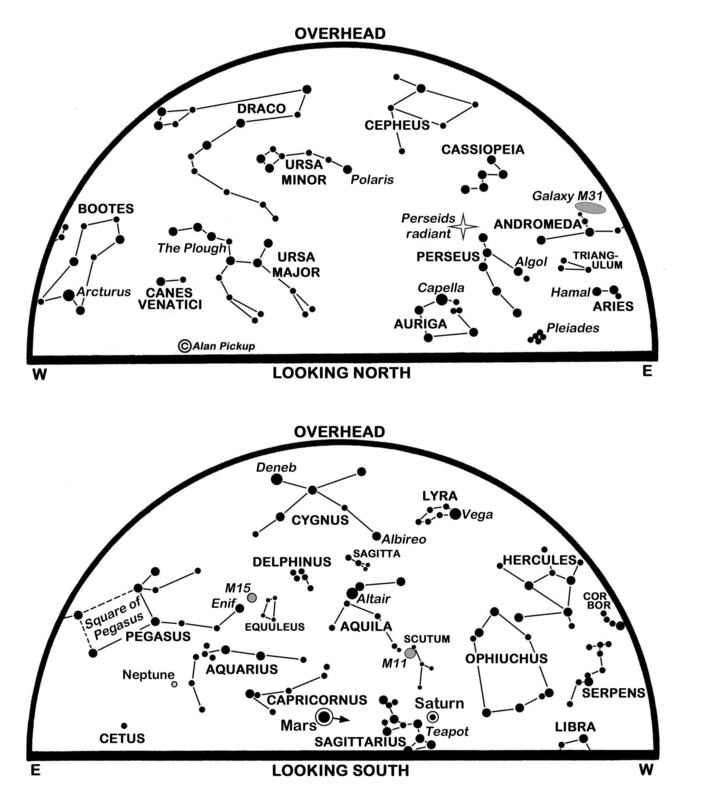 Both triangles are made up of stars in different constellations, but we also have asterisms that lie entirely within a single constellation, as, for example, the Sickle of Leo which curls above Regulus in the east-south-east at our map times, and the Plough which comprises the brighter stars of the Ursa Major, the Great Bear, climbing in the north-east. 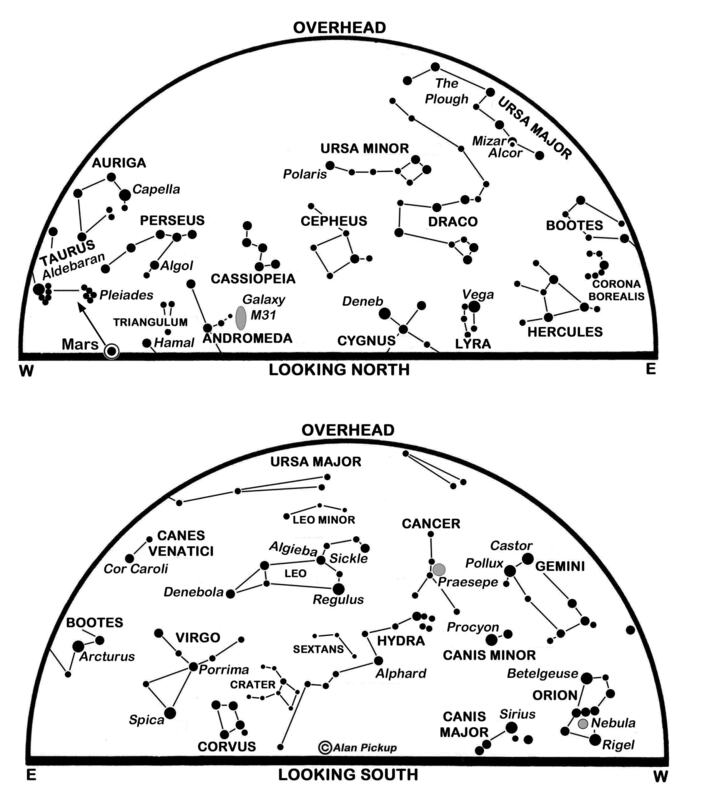 Yet another asterism, perhaps the biggest in its class, includes the leading stars of six constellations and re-uses two members of the Winter Triangle. The Winter Hexagon takes in Sirius, Procyon, Pollux in Gemini and Capella in Auriga which lies almost overhead as Orion crosses the meridian. 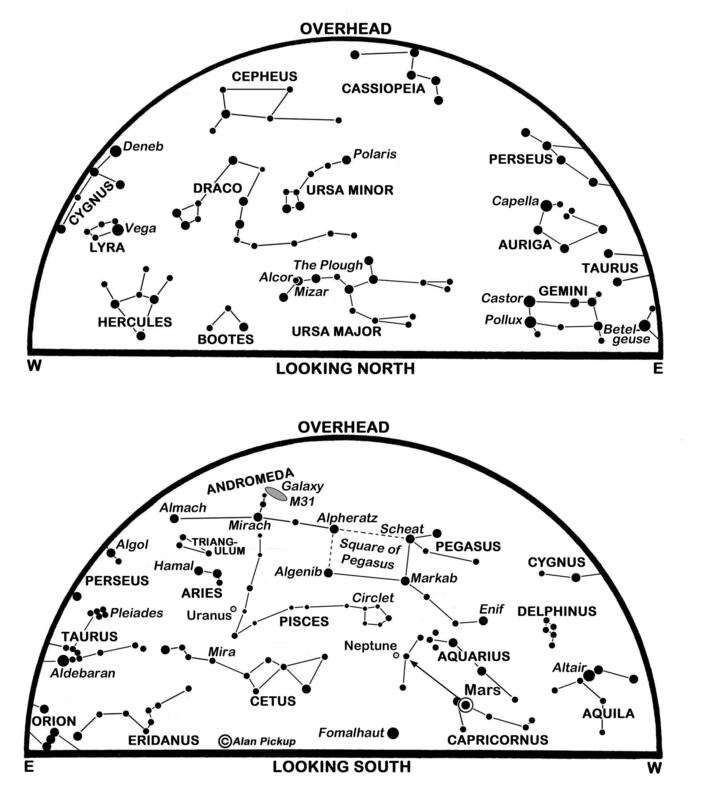 From Capella, the Hexagon continues downwards via Aldebaran in Taurus and Rigel at Orion’s knee back to Sirius. Edinburgh’s sunrise/sunset times change from 08:08/16:45 on the 1st to 07:07/17:44 on the 28th. The Moon is new on the 4th and at first quarter on the 12th when it stands 12° below the Pleiades in our evening sky. The 13th sees it gliding into the Hyades, the V-shaped star cluster that lies beyond Aldebaran. 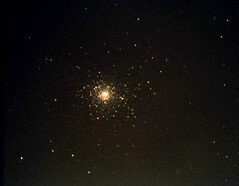 Both the Pleiades and the Hyades are open clusters whose stars all formed at the same time. 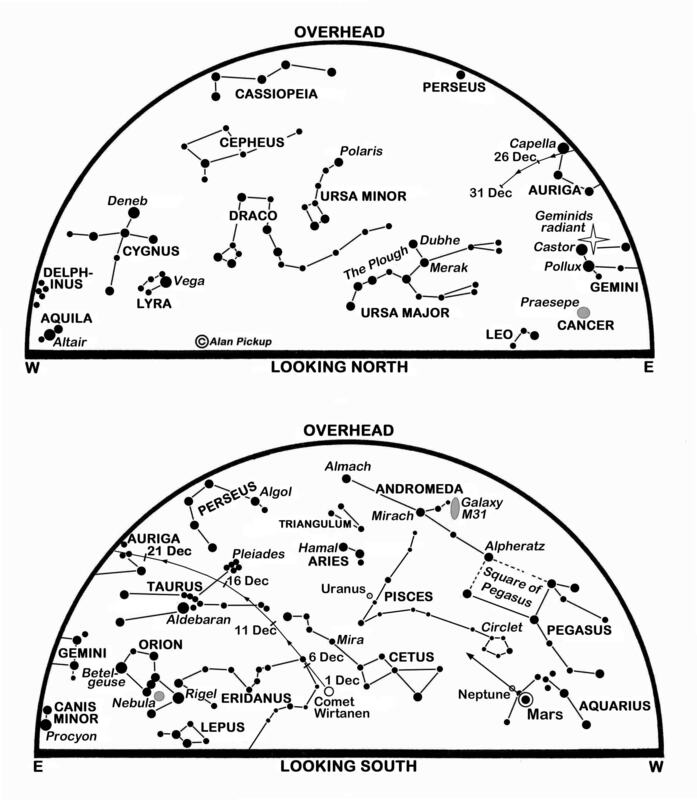 Another fainter cluster, Praesepe or the Beehive in Cancer, is visible through binoculars to the left of the Moon late on the 17th. Full moon is on the 19th with last quarter on the 26th. 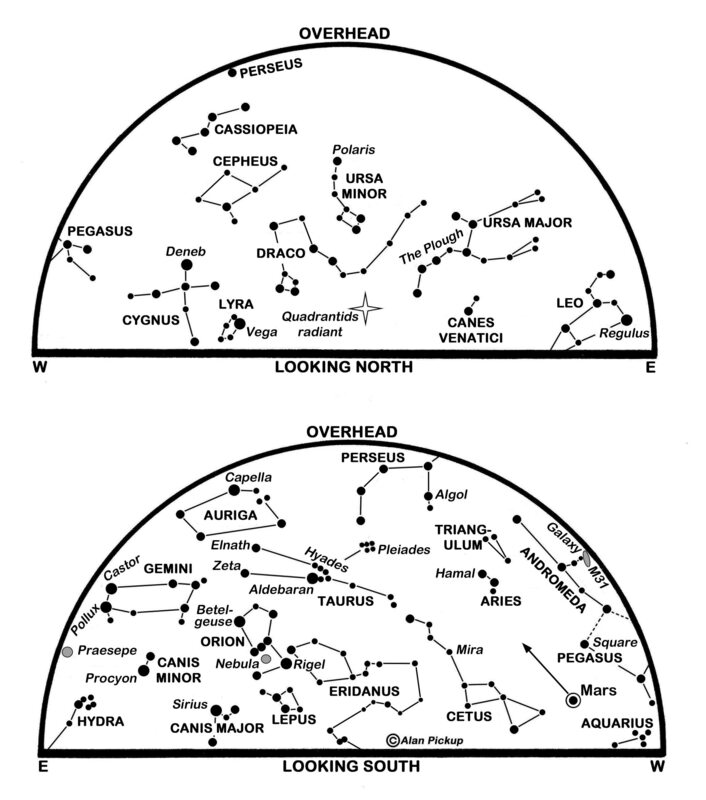 A number of other open star clusters lie in the northern part of the Hexagon, two of them plotted on our chart. At the feet of Gemini and almost due north of Betelgeuse is M35, visible as a smudge to the unaided eye but easy though binoculars and telescopes which begin to reveal its brighter stars. It lies 3,870 ly (light years) away, as compared with 440 ly for the Pleiades and 153 ly for the Hyades. Further north in Auriga is the fainter M37 (4,500 ly) which binoculars show 7° north-east of Elnath, the star at the tip of the upper horn of Taurus. 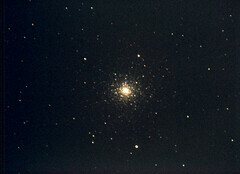 M36 (4,340 ly) and M38 (3,480 ly) lie from 4° and 6° north-west of M37. Mars dims a little from magnitude 0.9 to 1.2 but remains the brightest object near the middle of our south-south-western evening sky, sinking westwards to set before midnight. Mars is 241 million km distant when it stands above the Moon on the 10th, with its reddish 5.8 arcseconds disk now too small to show detail through a telescope. As it tracks east-north-eastwards against the stars, it moves from Pisces to Aries and passes 1° above-right of the binocular-brightness planet Uranus (magnitude 5.8) on the 13th. The usually elusive planet Mercury begins its best evening apparition of 2019 in the middle of the month as it begins to emerge from our west-south-western twilight. Best glimpsed through binoculars, it stands between 8° and 10° high forty minutes after sunset from the 21st and sets itself more than one hour later still. It is magnitude -0.3 on the 27th when it lies furthest from the Sun in the sky, 18°, and its small 7 arcseconds disk appears 45% illuminated. Venus, brilliant at magnitude 4.3, rises for Edinburgh at 05:11 on the 1st and stands 8° high by 06:30 as twilight begins to invade the sky. That morning also finds it 6° above and right of the waning earthlit Moon. A telescope shows Venus to be 19 arcseconds in diameter and 62% sunlit. Jupiter is conspicuous 9° to the right of, and slightly above, Venus on the 1st though it is one ninth as bright at magnitude -1.9. Larger and more interesting through a telescope, its 34 arcseconds disk is crossed by bands of cloud running parallel to its equator while its four main moons may be glimpsed through binoculars. Edging eastwards (to the left) in southern Ophiuchus, it is 9° east of the celebrated and distinctly red supergiant star Antares in Scorpius, a star so big that it would engulf the Earth and Mars if it switched places with our Sun. Our third predawn planet, Saturn rises at 06:38 on the 1st and is more of a challenge being fainter (magnitude 0.6) in the twilight. One hour before Edinburgh’s sunrise on the 2nd, it lies only 2° above the horizon and less than 10 arcminutes above-right of the Moon’s edge. Watchers in south-eastern England see it slightly higher and may glimpse it emerge from behind the Moon at about 06:31. Venus speeds eastwards through Sagittarius to pass 1.1° north of Saturn on the 18th and shine at magnitude -4.1 even lower in the morning twilight by the month’s end. By then, the Moon has come full circle to stand above-right of Jupiter on the 27th and to Jupiter’s left on the 28th. This is a slightly revised version, with added diary, of Alan’s article published in The Scotsman on January 31st 2019, with thanks to the newspaper for permission to republish here. 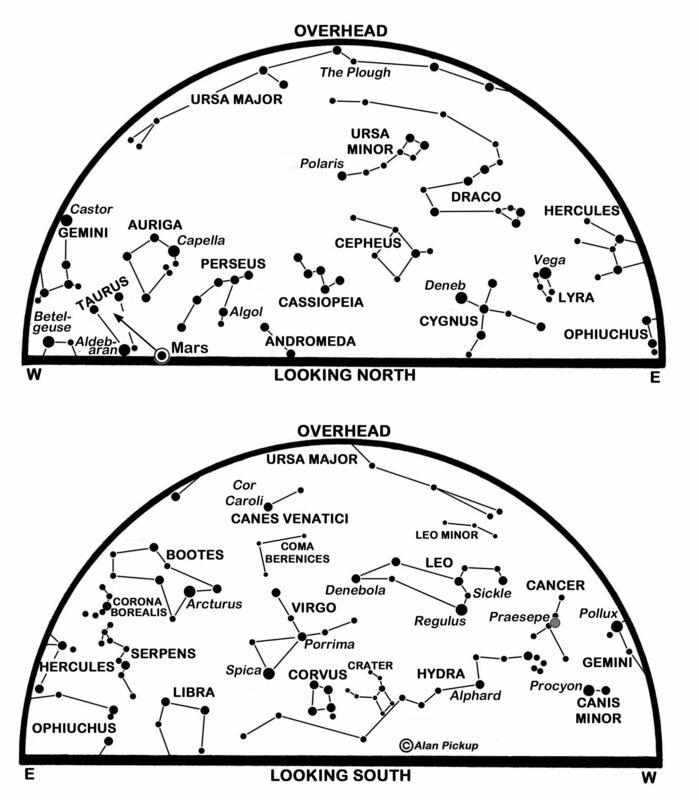 Orion rises in the east as darkness falls and climbs well into view in the south-east by our star map times. Its two leading stars are the blue-white supergiant Rigel at Orion’s knee and the contrasting red supergiant Betelgeuse at his opposite shoulder – both are much more massive and larger than our Sun and around 100,000 times more luminous. Below the middle of the three stars of Orion’s Belt hangs his Sword where the famous and fuzzy Orion Nebula may be spied by the naked eye on a good night and is usually easy to see through binoculars. One of the most-studied objects in the entire sky, it lies 1,350 light years away and consists of a glowing region of gas and dust in which new stars and planets are coalescing under gravity. The Belt slant up towards Taurus with the bright orange giant Aldebaran and the Pleiades cluster as the latter stands 58° high on Edinburgh’s meridian. Carry the line of the Belt downwards to Orion’s main dog, Canis Major, with Sirius, the brightest star in the night sky. His other dog, Canis Minor, lies to the east of Orion and is led by Procyon which forms an almost-equilateral triangle with Sirius and Betelgeuse – our so-called Winter Triangle. The Moon stands about 15° above Procyon when it is eclipsed during the morning hours of the 21st. The event begins at 02:36 when the Moon lies high in our south-western sky, to the left of Castor and Pollux in Gemini, and its left edge starts to enter the lighter outer shadow of the Earth, the penumbra. Little darkening may be noticeable until a few minutes before it encounters the darker umbra at 03:34. Between 04:41 and 05:46 the Moon is in total eclipse within the northern half of the umbra and may glow with a reddish hue as it is lit by sunlight refracting through the Earth’s atmosphere. The Moon finally leaves the umbra at 06:51 and the penumbra at 07:48, by which time the Moon is only 5° high above our west-north-western horizon in the morning twilight. This eclipse occurs with the Moon near its perigee or closest point to the Earth so it appears slightly larger in the sky than usual and may be dubbed a supermoon. Because the Moon becomes reddish during totality, there is a recent fad for calling it a Blood Moon, a term which has even less of an astronomical pedigree than supermoon. Combine the two to get the frankly ridiculous description of this as a Super Blood Moon. Sunrise/sunset times for Edinburgh change from 08:44/15:49 on the 1st to 08:10/16:43 on the 31st. New moon early on the 6th, UK time, brings a partial solar eclipse for areas around the northern Pacific. First quarter on the 14th is followed by full moon and the lunar eclipse on the 21st and last quarter on the 27th. 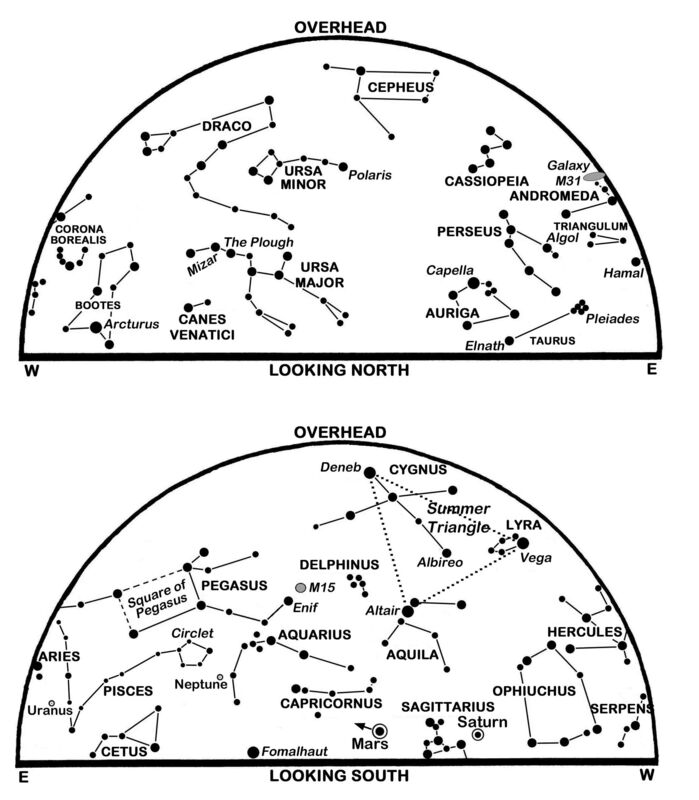 The Quadrantids meteor shower is active until the 12th but is expected to peak sharply at about 03:00 on the 4th. Its meteors, the brighter ones leaving trains in their wake, diverge from a radiant point that lies low in the north during the evening but follows the Plough high into our eastern sky before dawn. With no moonlight to hinder observations this year, as many as 80 or more meteors per hour might be counted under ideal conditions. Mars continues as our only bright evening planet though it fades from magnitude 0.5 to 0.9 as it recedes. Tracking through Pisces and well up in the south at nightfall, it stands above the Moon on the 12th. Our maps show it sinking in the south-west and it sets in the west before midnight. Venus, its brilliance dimming only slightly from magnitude -4.5 to -4.3, stands furthest west of the Sun (47°) on the 6th and is low down (and getting lower) in our south-eastern predawn sky. Look for it below and left of the waning Moon on the 1st with the second-brightest planet, Jupiter at magnitude -1.8, 18° below and to Venus’s left. As Venus tracks east-south-eastwards against the stars, it sweeps 2.4° north of Jupiter in an impressive conjunction on the morning of the 22nd while the 31st finds it 8° left of Jupiter with the earthlit Moon directly between them. Saturn, magnitude 0.6, might be glimpsed at the month’s end when it rises in the south-east 70 minutes before sunrise but Mercury is lost from sight is it heads towards superior conjunction on the Sun’s far side on the 30th. China hopes that its Chang’e 4 spacecraft will be the first to touch down on the Moon’s far side, possibly on the 3rd. Launched on December 7 and named for the Chinese goddess of the Moon, it needs a relay satellite positioned beyond the Moon to communicate with Earth. Meantime, NASA’s New Horizons mission is due to fly within 3,500 km of a small object a record 6.5 billion km away when our New Year is barely six hours old. Little is known about its target, dubbed Ultima Thule, other than that it is around 30 km wide and takes almost 300 years to orbit the Sun in the Kuiper Belt of icy worlds in the distant reaches of our Solar System. This is a slightly revised version, with added diary, of Alan’s article published in The Scotsman on December 31st 2018, with thanks to the newspaper for permission to republish here. December brings our longest and perhaps most interesting nights of the year. The two stand-out planets are Mars in the evening and Venus before dawn, the latter now as brilliant as it ever gets and the source of a flurry of recent UFO reports. We may also enjoy the rich and reliable Geminids meteor shower and Comet Wirtanen looks set to be the brightest comet of the year. The comet’s progress is plotted on our charts, beginning low in the south near the Cetus-Eridanus border on the 1st and sweeping northwards and eastwards through Taurus to Auriga and beyond. A small comet with an icy nucleus possibly less than 1 km wide, Wirtanen was discovered in 1948 and orbits the Sun every 5.4 years between the Earth and Jupiter. It was the original destination of the European Space Agency’s Rosetta mission before delays forced the probe to target Comet Churyumov–Gerasimenko instead. Comet Wirtanen reaches perihelion, its closest to the Sun and just beyond the Earth’s orbit, on the 12th. It is nearest the Earth on the 16th, passing only 11.6 million km away in the tenth closest approach of any observed comet since 1950. On that evening it lies 4° east (left) of the Pleiades and may appear as a large fuzzy ball lacking any obvious tail. Predictions of its appearance at that time vary, but I suspect that its total brightness may be around the fourth magnitude, a little brighter than the fainter stars plotted on our charts. While this would normally put it well within naked-eye range, the fact that it is so close to the Earth is likely to mean that its light is spread out over an area even wider than the Pleiades. Unless we have a good dark sky, we may struggle to see its extended glow, and it is a pity that the gibbous Moon (63% sunlit) will also hinder observations before midnight. Only a week later, on the evening of the 23rd, it lies only 1° east-south-east of the bright star Capella but will be fading in still brighter moonlight. 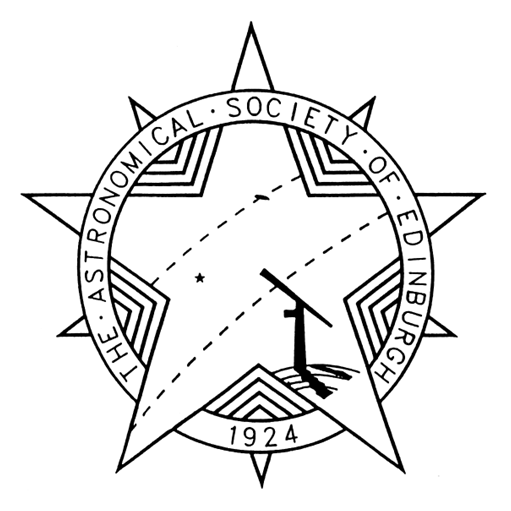 The Sun reaches its most southerly point at the winter solstice at 22:23 GMT on the 21st as sunrise/sunset times for Edinburgh change from 08:19/15:44 GMT on the 1st to 08:42/15:40 on the 21st and 08:44/15:48 on the 31st. The Moon is new on the 7th, at first quarter on the 15th, full on the 22nd and at last quarter on the 29th. 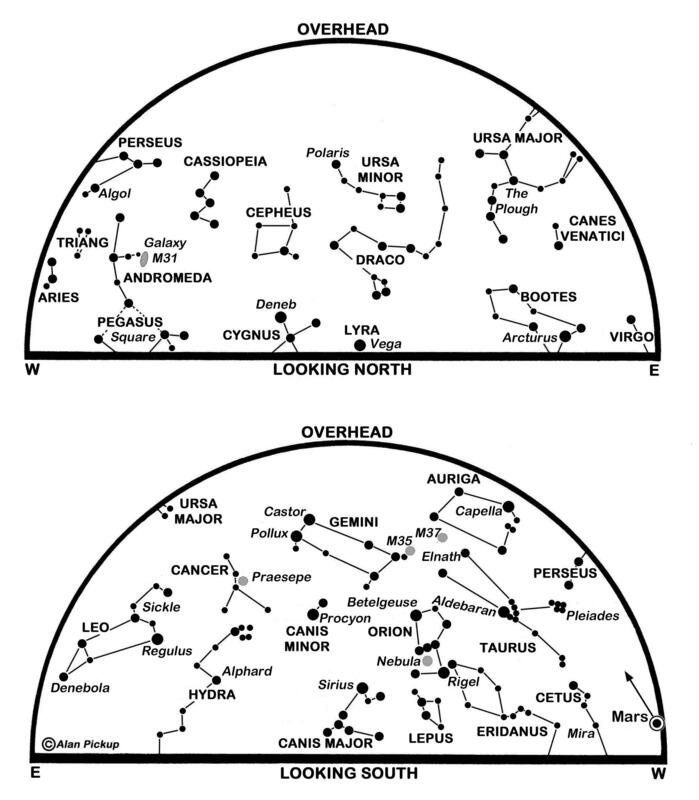 Our charts show Andromeda and its Galaxy high in the south as Orion stands proudly in the south-east below Taurus and the Pleiades. Castor lies above Pollux in Gemini in the east and is close to the point in the sky that marks the radiant of the Geminids meteor shower. The Geminids always produce an abundance of slow bright meteors which streak in all parts of the sky as they diverge from the radiant. The latter climbs to pass high in the south at around 02:00 and sinks into the west before dawn. The shower is active from the 8th to the 17th with the night of 13th-14th expected to be the best as meteor rates build to a peak at around dawn. An observer under an ideal dark sky with the radiant overhead may count upwards of 100 meteors per hour making the Geminids the highest-rated of our annual showers, though most of us under inferior skies may glimpse only a fraction of these. Mars shines brightly some 25° high in the south as night falls for Edinburgh at present and is almost 10° higher by the month’s end after moving east-north-eastwards from Aquarius into Pisces. Our maps have it sinking in the south-west on its way to setting in the west before midnight. Although the brightest object in its part of the sky, it dims from magnitude 0.0 to 0.5 as it recedes from 151 million to 189 million km. When Mars stands above the Moon on the 14th, a telescope shows its ochre disk to be only 8 arcseconds across. Saturn, magnitude 0.6, hangs just above our south-western horizon at nightfall as December begins but is soon lost in the twilight. Our other two evening planets, Uranus and Neptune, are visible through binoculars at magnitudes of 5.7 and 7.9 in Pisces and Aquarius respectively. Mars acts as an excellent guide on the evening of the 7th when Neptune stands about one quarter of a Moon’s breadth below-right of Mars. Venus, now at its best as a dazzling morning star, rises in the east-south-east four hours before the Sun and climbs towards the south by dawn. This month it dims slightly from magnitude -4.7 to -4.5 as it tracks away from Virgo’s brightest star Spica in Virgo into the next constellation of Libra. Telescopes shows its crescent shrink from 40 to 26 arcseconds in diameter. Look for Venus below-left of the Moon on the morning of the 3rd and to the Moon’s right on the 4th. Mercury is set to become as a morning star very low in the south-east and is soon to be joined by the even brighter Jupiter. Mercury rises more than 100 minutes before the Sun from the 5th to the 24th and stands between 5° and 9° high forty minutes before sunrise. It shines at magnitude 0.8 when it lies 7° below-left of the impressively earthlit Moon on the 5th, and triples in brightness to magnitude -0.4 by the 24th. Jupiter, conspicuous at magnitude -1.8, emerges from the twilight and moves from 9° below-left of Mercury on the 11th to pass 0.9° south of Mercury on the 21st. This is a slightly revised version, with added diary, of Alan’s article published in The Scotsman on November 30th 2018, with thanks to the newspaper for permission to republish here.